Captain Fantastic is a 2016 American comedy-drama film set in the wilderness of Washington. The film follows a father, played by Viggo Mortensen, and his six children as they re-join society after nearly 10 years of living self-sufficiently in the woods. Their reintegration is prompted by the suicide of their mother, and Mortensen’s wife. Viewers watch as the children experience life outside of the forest as the bonds of family and loyalty are tested. The film premiered at Sundance Film Festival, with Mortensen being nominated for several awards, including a much sought-after Oscar. Even despite this, the film never quite hit the media in the way it deserves. The family break the norms in every way; the children have peculiar names, like Vespyr and Zaja, and their clothing is even more questionable. However, the hidden beauty in this film is undeniable. The naivety of the children as they experience society for the first time in a long time is both touching and heart wrenching to watch. Coming to understand the father’s decision to raise them the way he did is a journey that we as viewers feel privileged to be part of – watching as the family come together to honour their mother proves exactly what the point of life is. Captain Fantastic has a bizarre opening in which we see the children on a hunting exercise. It is at this point that it may seem too bizarre for some, but it is so worth sticking out. The film presents to us sadness, joy, coming-of-age, family relationships, young love and mental illness. Some might argue it is a hard piece to watch, and there is no denying this as viewers quickly learn that the female lead of the family suffered from bipolar disorder which led her to the decision to end her life. For me, however, the way that this film forces us to experience the harsh realities of life and step out of our comfort zone is what makes it so touching. This film is so perfect in every way. It takes you away from everything around you for a couple of hours and provides a lot of food for thought. Not only this, but despite the sombre undertones of the storyline, I can guarantee you will walk away from the experience feeling fulfilled in some way. 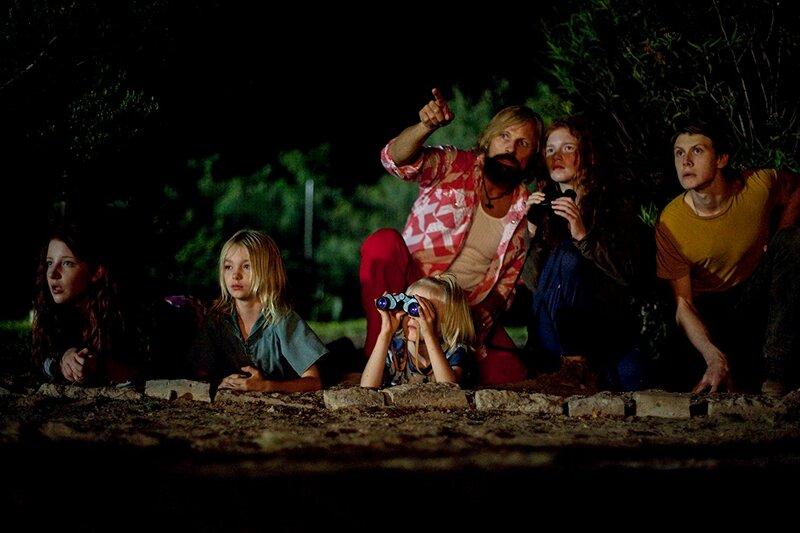 With a touching rendition of ‘Sweet Child O Mine’ and an innocent and beautiful cast, Captain Fantastic doesn’t step a foot wrong. Captain Fantastic (2016), directed by Matt Ross, is distributed in the UK by Entertainment One.